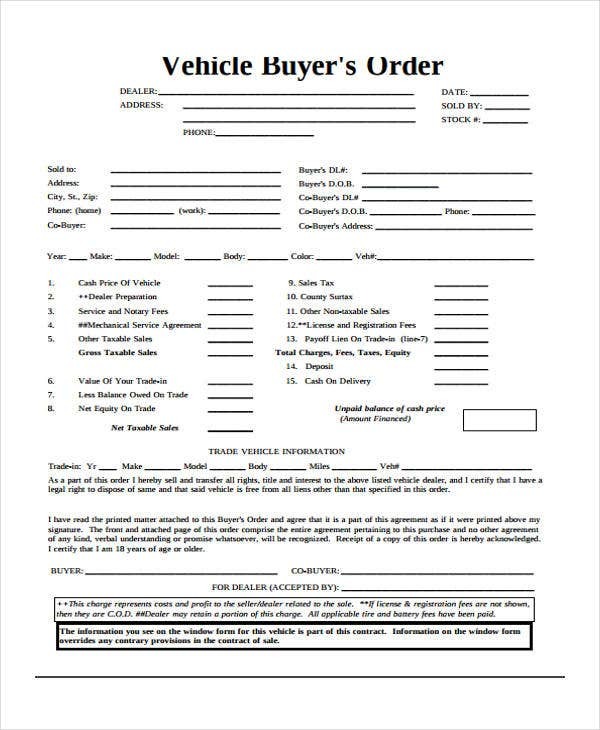 Order forms and documents are used to outline and record specific product type and details requested or purchased by a customer or client. 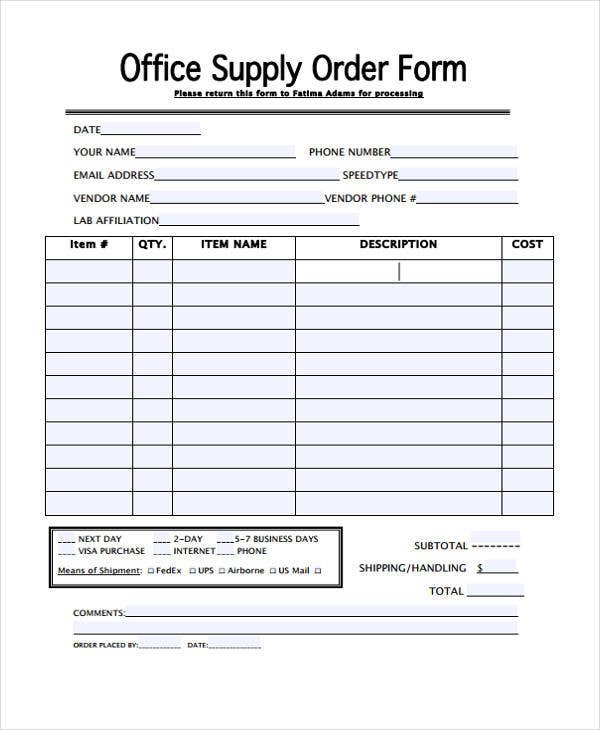 The essential components of an order form vary according to its uses and applications. 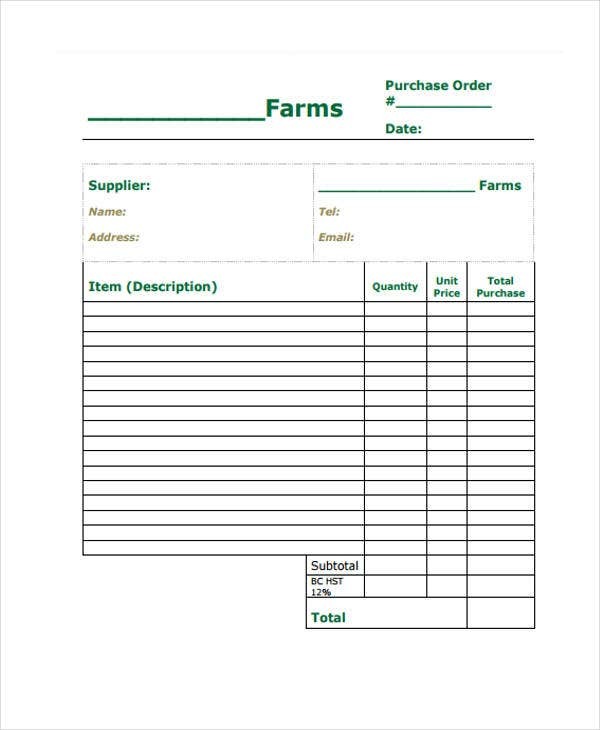 For some, formatting order forms are complicated. That is partly true. If you’re still manually creating your order form, you surely need to automate and improvise them. 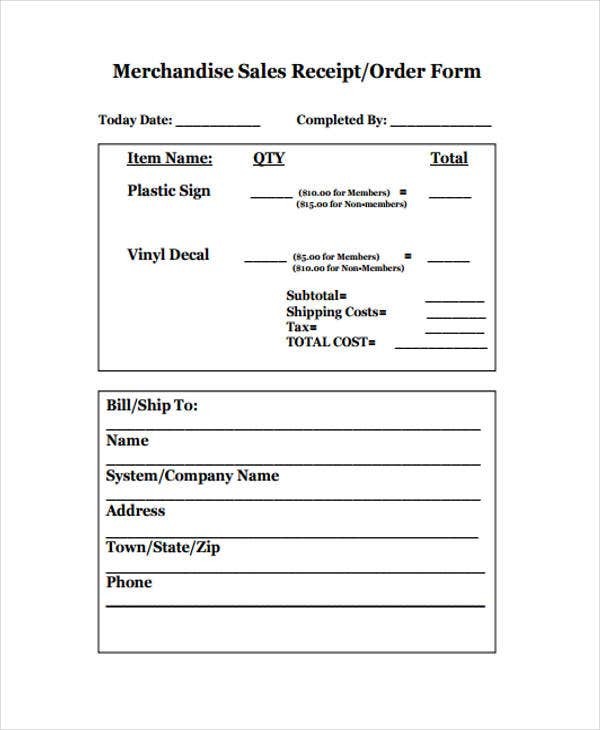 For your convenience, we have blank order form templates that you may fill in and customize to fit your context. They are easy to download and use. Aside from that, we also provided key instructions on how to make an order form via MS Excel. 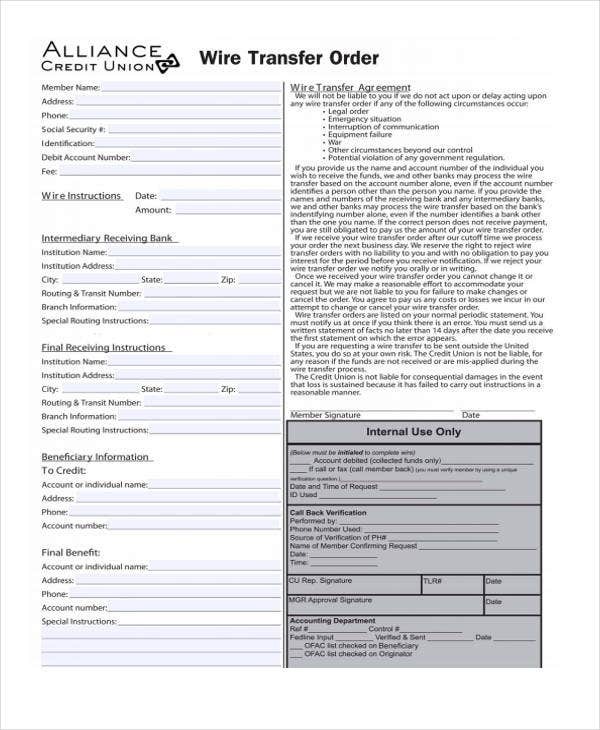 There are several blank order form templates that you may use. However, it is always advisable for you to know the basic steps in making your own via MS Excel. 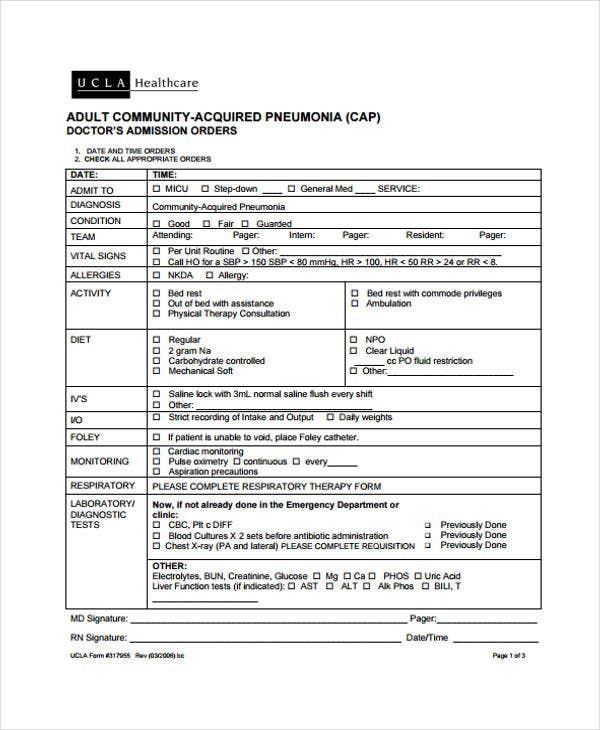 You may use the templates as a supplement or reference in creating your own order forms. Establish the workbook. You need to set up the workbook by opening a new blank workbook in MS Excel. 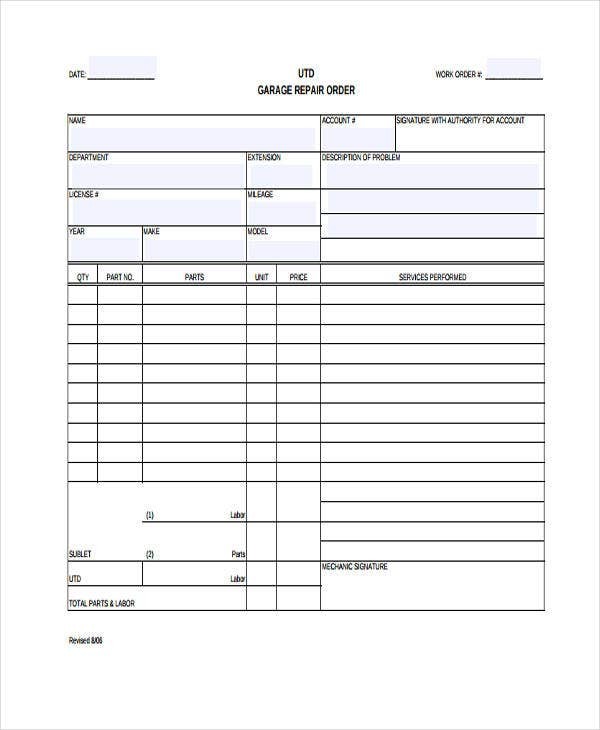 As per the sheet name, you can change the label into anything that you prefer such as an “Order form”. 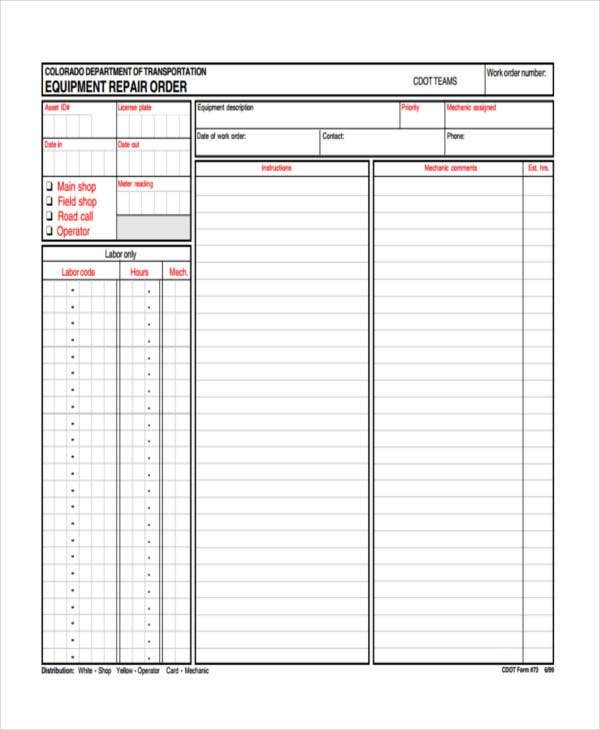 In making an order form, you have to create a separate sheet for your product list. So, you may rename sheet 2 as “product list”. Enter the set of products you offer. 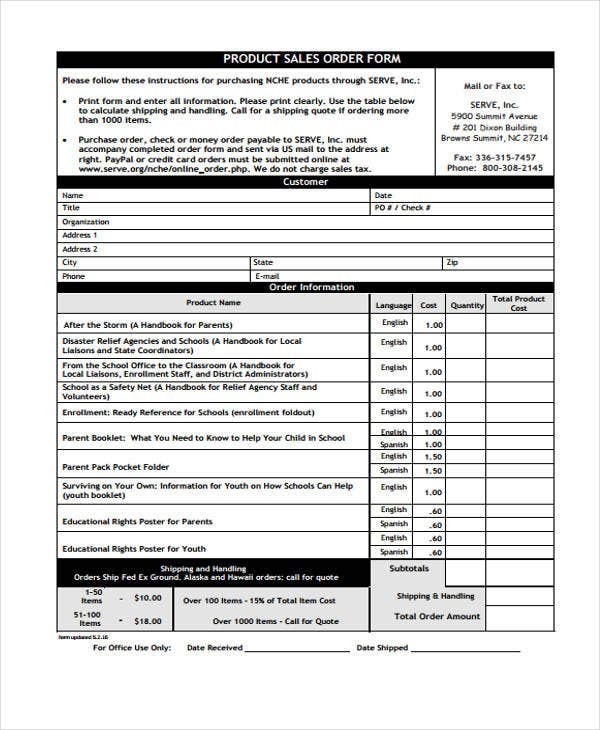 In your product list sheet, you need to input the types of products or goods that you produce and their corresponding prices. Afterwards, you need to format the list as an Excel table by clicking on the format as table button. You can also make necessary customization as you deem necessary. 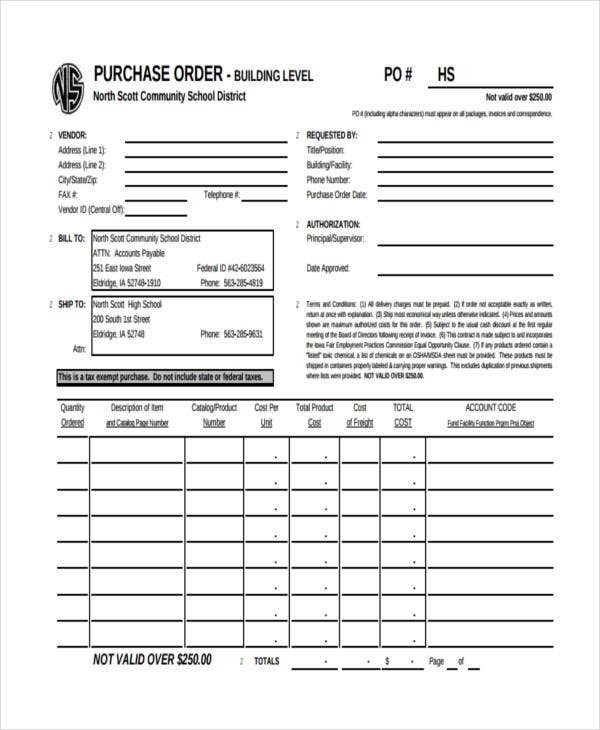 Format and customize your order form. 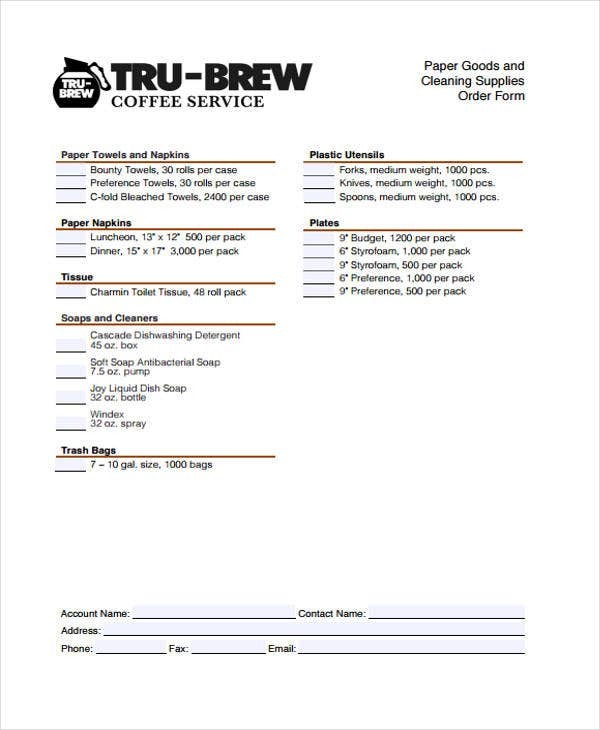 After designing your product list, you need to create a product drop-down list on your order form sheet to make it easier for you to enter the product. And lastly, you may also do the same customization if you want to add a customer list. Don’t forget to save your workbook for updating purposes. 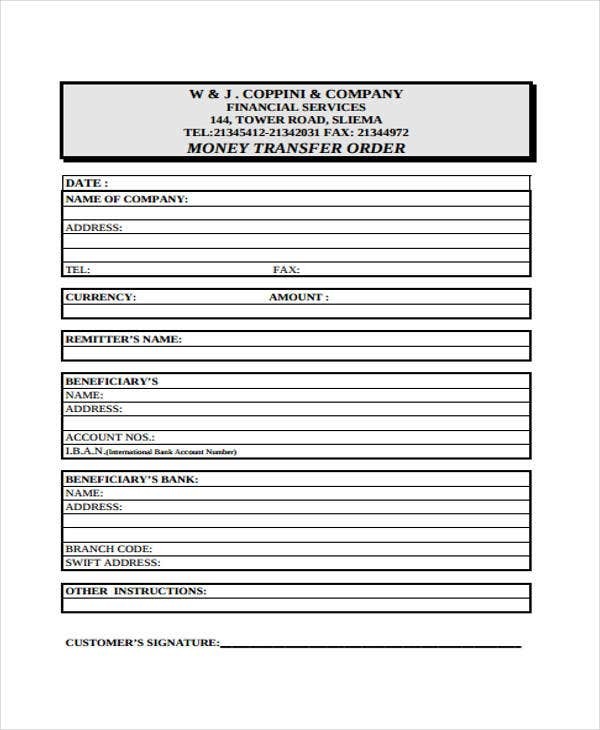 Order forms come in various formats and structure. They are patterned in accord to their application and usability. Here are some of our featured templates that you may use and their corresponding application. 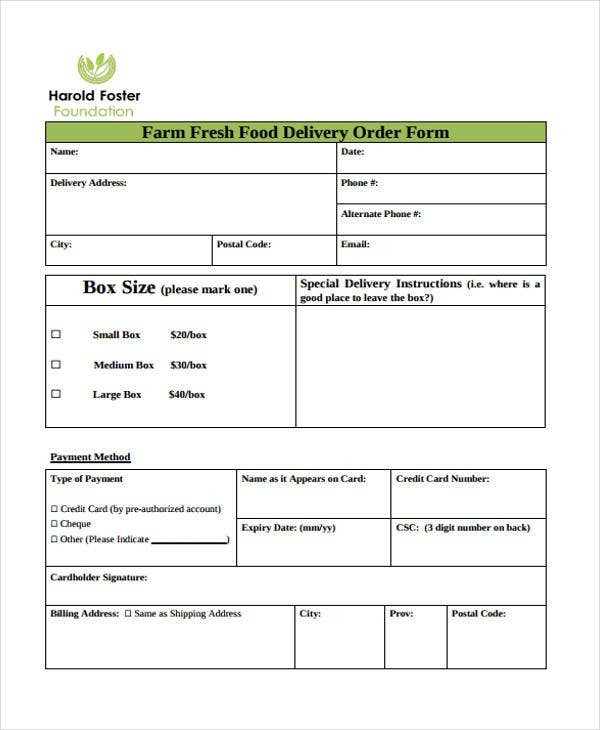 Food Delivery Order Templates – For businesses that offer food delivery services, you can use our set of templates. You can customize how it looks and add additional sections that are necessary for your business. 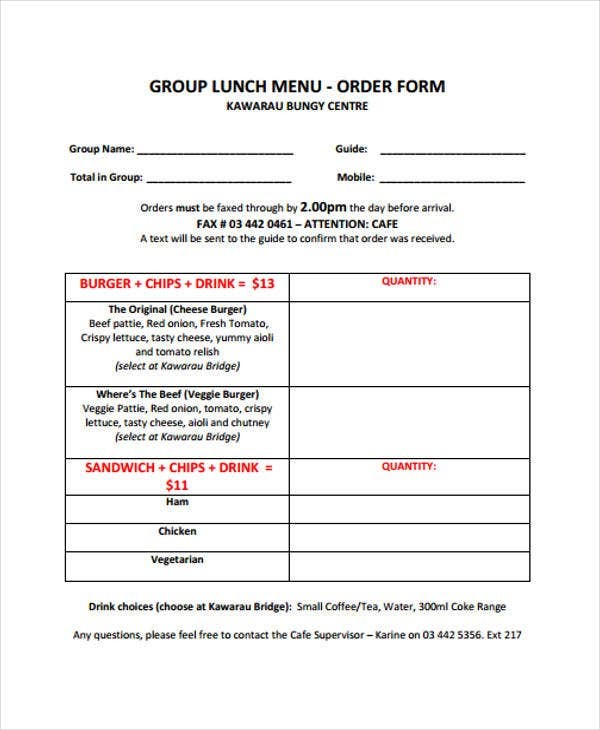 As you may observe from the template, the relevant sections are customer contact details, the food delivery options and corresponding package deals, and payment options. 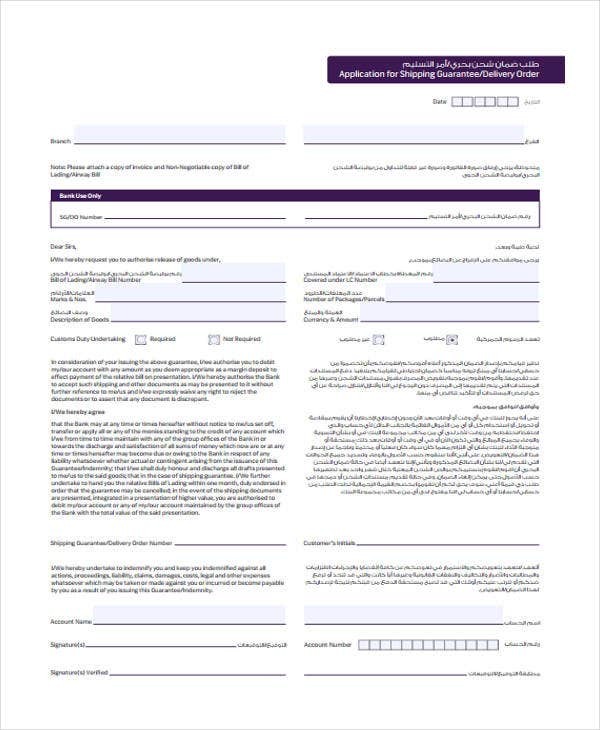 Shipping Order Form Templates – A shipping order is a document that outlines the list of items that are purchased by specific customers and are ready for transfer from the supplier to the purchaser. 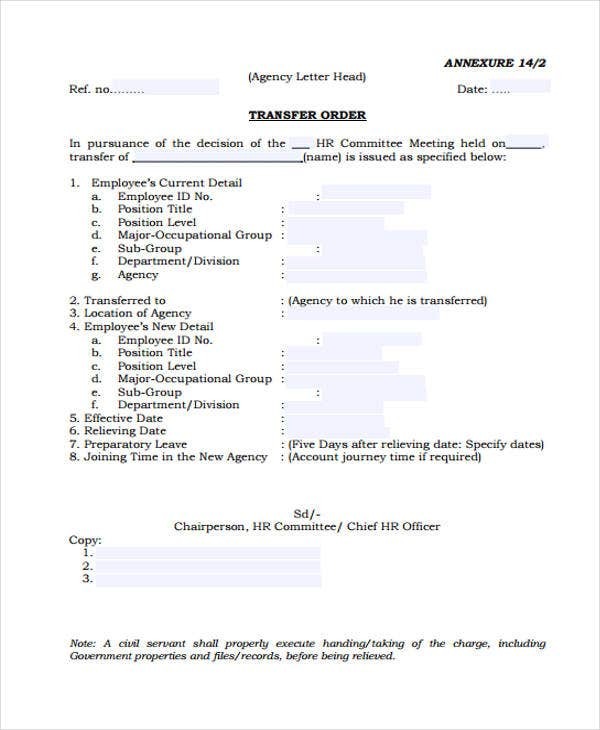 What is emphasized here are the shipping terms and agreement. 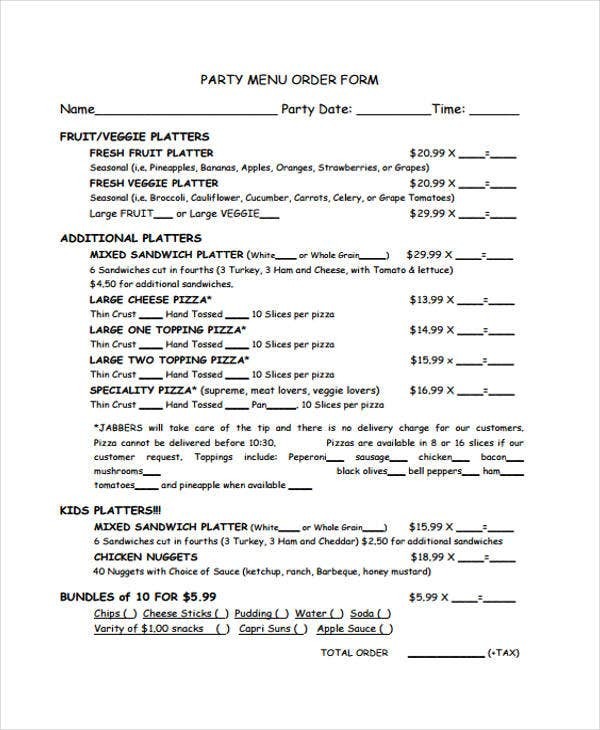 Menu Order Templates – For restaurant owners and managers, you may take a look at our array of menu order templates for lunch, dinner, and breakfast food menus. 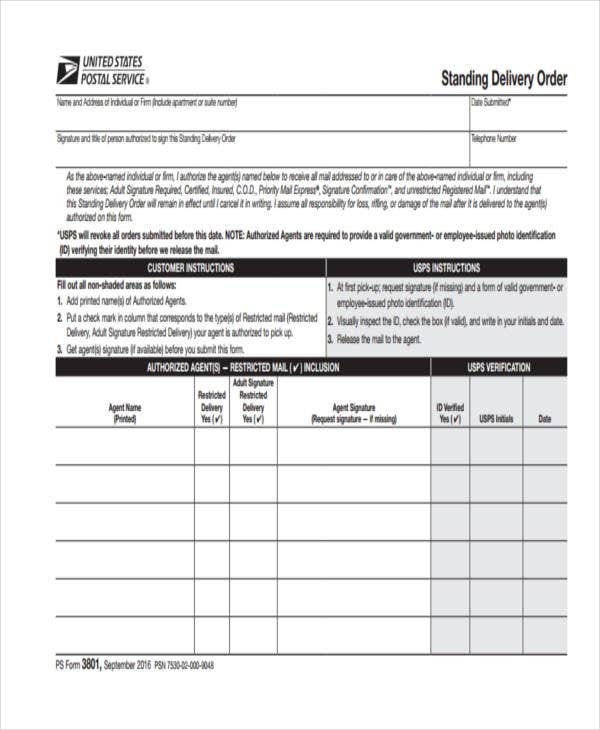 These are order form templates that we offer and are ideally perfect for your business endeavors. It is undeniable that order forms play a key role in every business endeavor especially in the exchange of goods and services. It illustrates the level of resources and the quality of the good or service required. Without order forms, it would be very difficult to know what are the preferences of customers and on what manner they want the purchased goods be delivered to them. Like what is reflected in a delivery order template, the description of the product before and during delivery are indicated to ensure that the customer will receive the product in good condition. 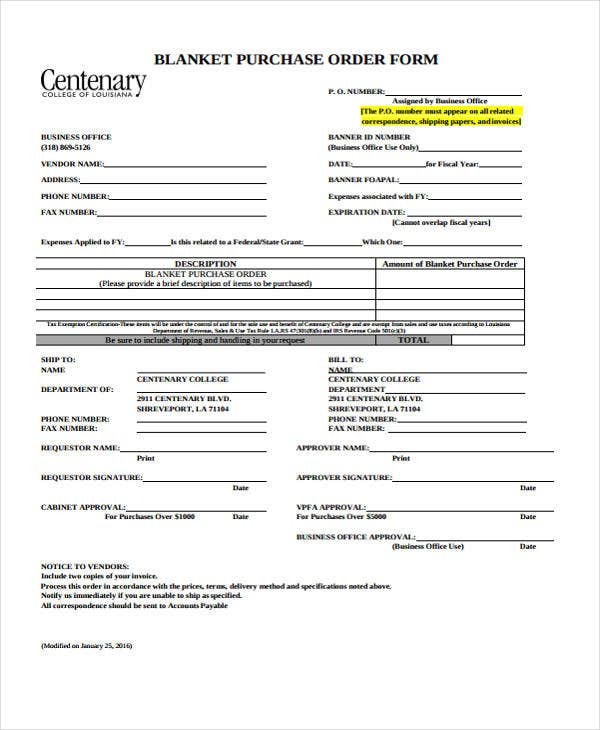 As a customer or involved client, you must be proactive in knowing the type of order form you’ll be filling out. 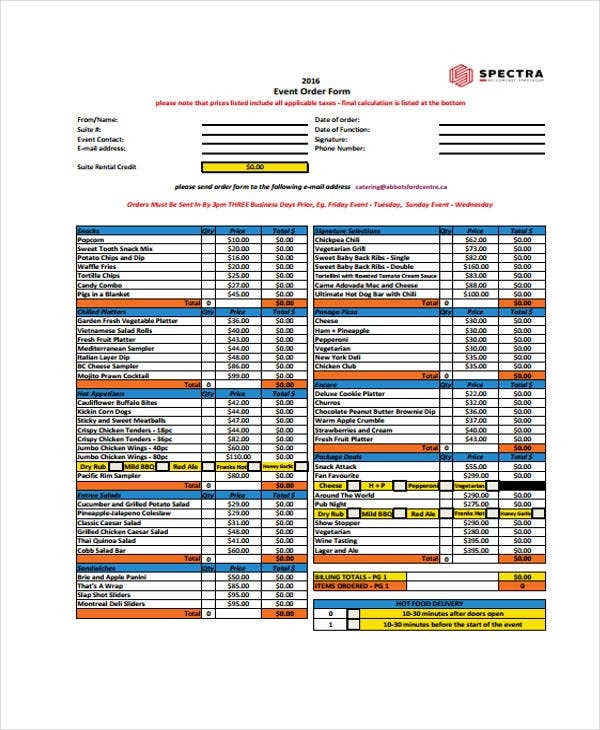 On the company’s end, knowledge of the different classifications of order forms can help you streamline your documentation processes. 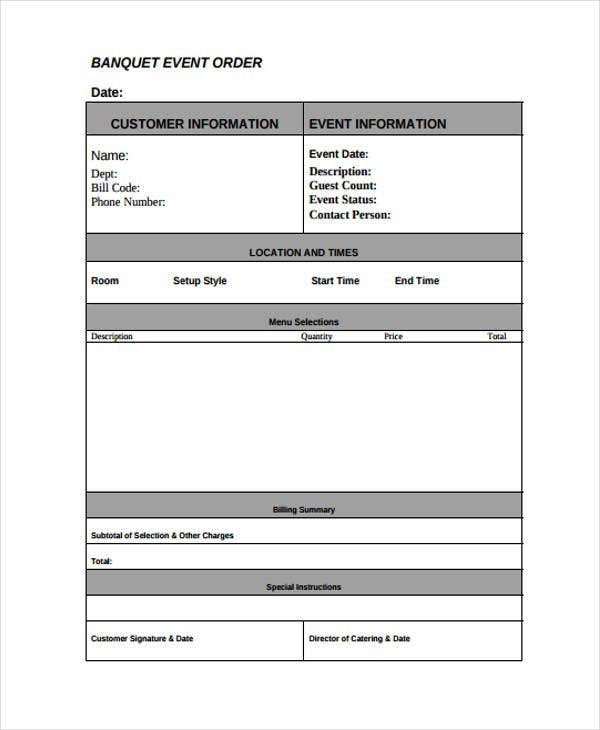 Bear in mind that order forms are not just used for restaurant settings but also in catering to events and functions such as in the case of event order templates. Furthermore, they can also help prevent errors and confusion. 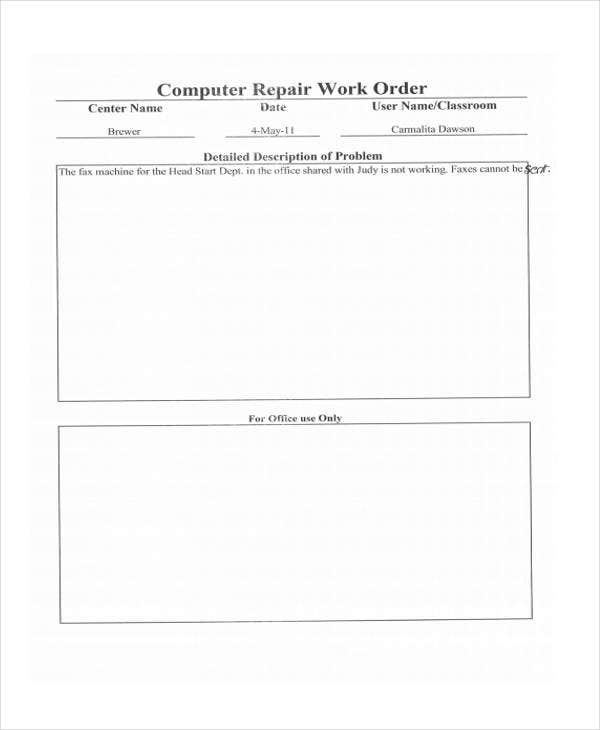 Here are some of the common types of order forms. 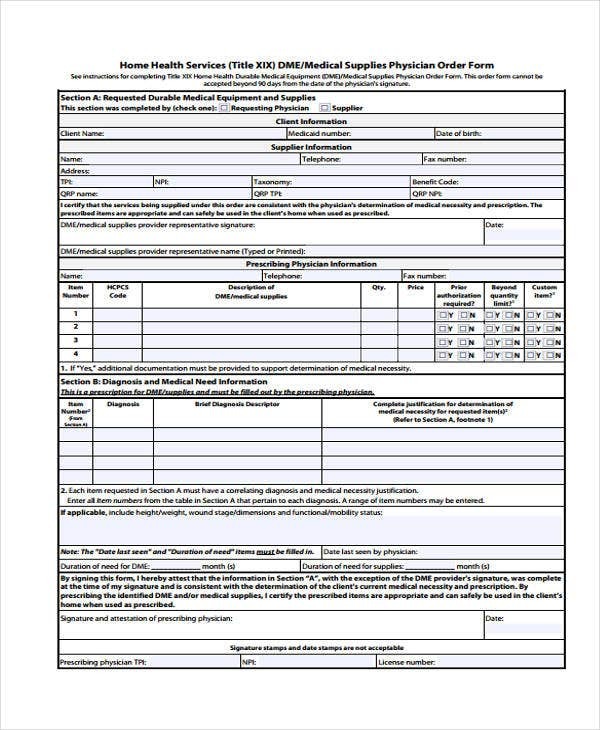 Order form for a single product with multiple choices – According to research, this type of order form is versatile. It is used by business ventures that offer single product that comes in a variety of choices. 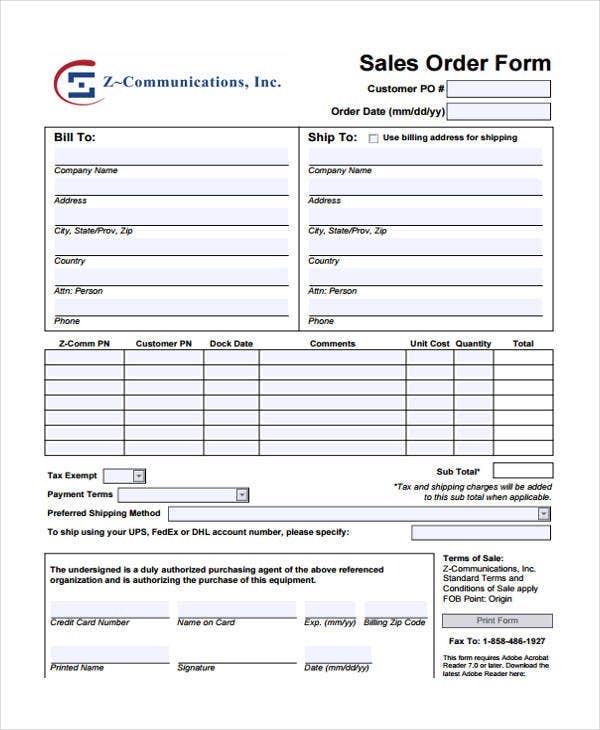 Order form for multiple products with multiple choices – This is a grid-like order form format. Your customer can select from a list of multiple products with an array of choices. This is mostly applicable to salons, bakeries, winery and many more. 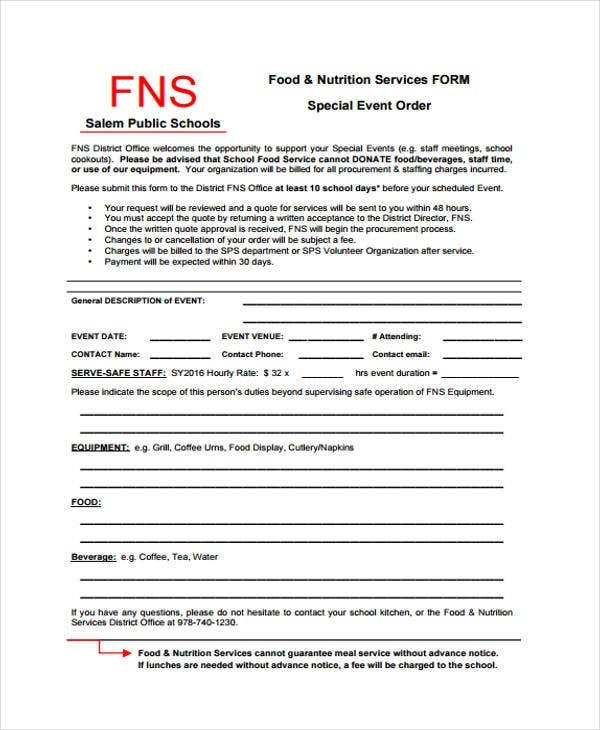 Your food order template can incorporate this type of order form to show more variety and class at the same time. Order form for a single product with a single choice – The disadvantage of using this form is that it limits the customer to a single choice. However, if you want to mainstream and emphasize your product more, you can freely use this. 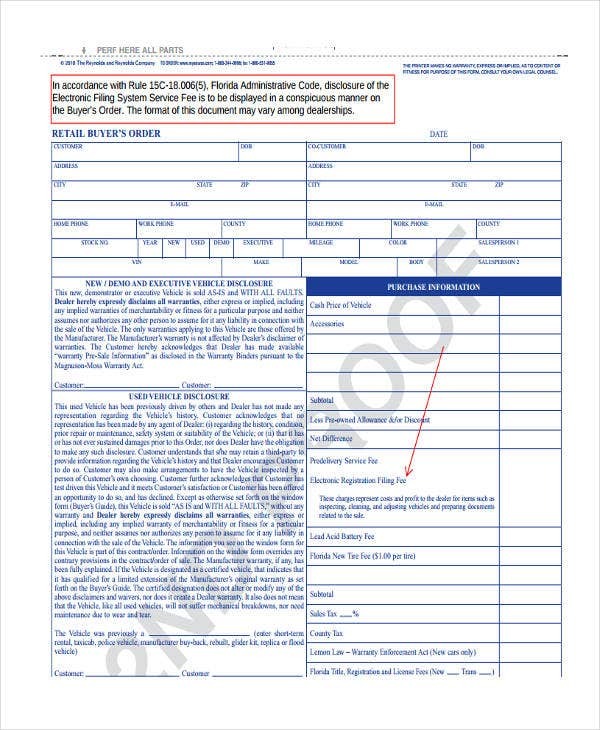 Company Details – As a business manager, always consider your order form as a marketing tool. With that, it should also serve as an avenue for you to promote your company. Provide your company details such as the logo, taglines and etc. Customer Details – For those purchases that undergo shipment, this section is also referred to as the “shipment to”. You need to provide the details of you recipient including the address wherein the products will be sent. Terms and Conditions – In here, you can mentioned your agreed terms and stipulations. This will also include mode of payment and the amounts to be paid. 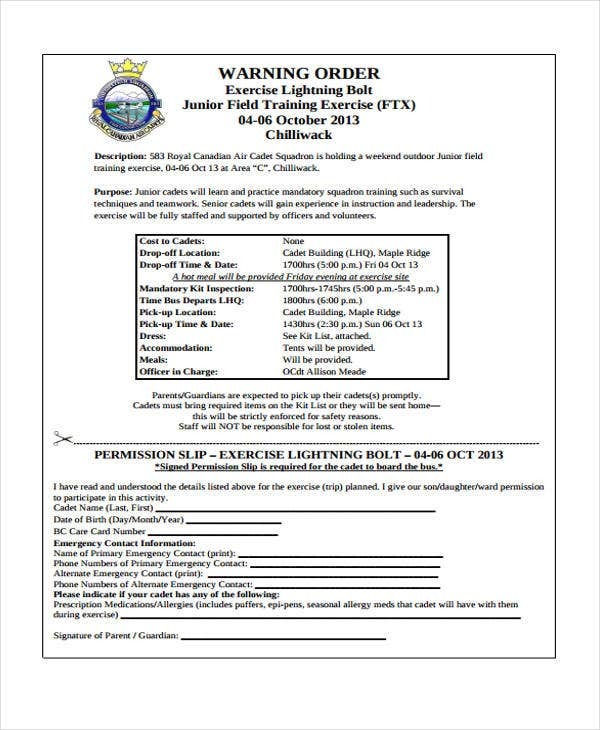 Work order Number – For tracking purposes, this is very critical. This is done for the purpose of identifying the specific obligations of the company. Other Relevant Fees – Include relevant taxes and fees that must be complied with. These are some of the essential components of an order form. To know more the specifics, you have to understand the purpose of your order form. A good example would be a fundraiser order template that aims to raise funds for a charitable or humanitarian cause.